Based in Windsor, Ontario, Black Moss Press has a national and international reputation for their contributions to Canadian literature. They aim to promote literature and fine arts in their region, in Canada as a whole, and in the nearby United States. During their almost-fifty year history, they’ve released more than 400 books. Current publisher Marty Gervais founded the press in 1969 as Bandit/Black Moss Press, releasing chapbooks and a magazine that published the likes of Charles Bukowski, Margaret Atwood, Milton Acorn, Al Purdy, George Bowering, Diane Di Prima, and Dennis Lee. 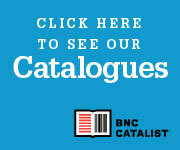 They’ve gone on to publish a long, storied list of Canadian literary heavyweights. Their promotions take all kinds of shapes: from traditional readings and book launches to boxing rings, factory floors, hockey arenas and street corners. LPG acknowledges we are hosted on the lands of the Mississaugas of the Credit, the Anishinaabeg, the Haudenosaunee, and the Wendat. We also recognize the enduring presence of all First Nations, Métis and the Inuit people, and we are grateful to have the opportunity to meet and work on this territory.